We at Senior Home Advocates offer a variety of services. We have developed our programs over the course of time based on what are clients, their physicians and families have requested. With the incredible rising cost of care, and the unforeseen fragmentation of our healthcare system we make every attempt to keep our services either "Free" or low cost. We get no governmental funding or subsidies so there are times that we must charge a fee for the comprehensive services we provide. We encourage you to have a "Free" consultation either by phone, in person of via HIPPA complaint live streaming "video conferencing". Many of our services are at no-cost to our clients We our compensated by pre-arranged contract by suppliers or communities. We pride ourselves on our transparency and integrity. These services may be paid for by your insurance. We our compensated by pre-arranged contracts and the often by your physician. Many families find that the case management and support our Advocates provide is invaluable. A comprehensive suite of services that covers both clinical and financial guidance. Our team of healthcare assistants will take you personally through the software and assist you with the customization. We will show you how to enter your medications and reminders, schedule your doctors appointments and create goals and tasks. What is Concierge placement services? 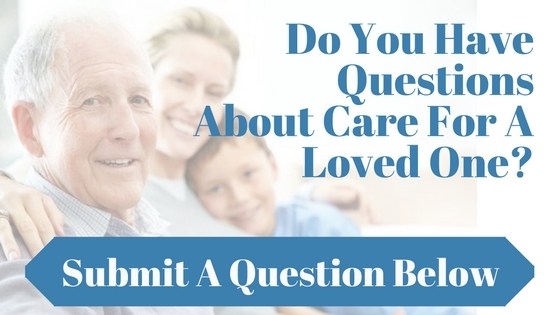 Among the wide range of senior living and care facilities – independent living, assisted living, Alzheimer’s care, retirement communities, home care or nursing homes, how can you choose which option is best for your family? We understand that "placement" can become overwhelming and confusing for families. That’s why Senior Home Advocates offers guidance planning to help you select the best senior care plan for your aging loved ones. The Senior Real Estate Designation (SRES)® is a vigorous training that equips Realtors to understand the unique emotional and financial challenges a senior client may face when looking to sell their home. When selling a family home SRES agents are able to provide a vast amount of knowledge and information regarding reverse mortgages and down sizing with dignity, use of pensions, and the applicable tax exemptions available to your family. Our Agents will be there to guide you every steps of the way. Receive an informative monthly newsletter about topics pertaining to your loved ones care needs. Including topics like changes in medicare, fall prevention, dementia, and useful techniques on how to care for your loved one. We believe in providing value to our clients. We know life can be tough and a break is nice. For that reason we provide incontinent supplies, mobility aids and fall prevention products at a low rate. Our supplies range from wound care dressing all the way to wheelchairs and walkers. Feel free to ask about any item you may need, we will be glad to give the best price we can offer and have it delivered. Our Healthcare assistants will not only provide a monthly medication and medical record review, but provide you with assistance and answer your question along the way. If you have question about your medical records or a prescribes medication you can contact one of our 24/7 health assistants to answer your questions. In order to reach the goals set forth on your care plan, our 24/7 phone assistants will reach out to you or your loved one on a monthly basis. This call to ensure that you are on the right track with your medications, treatments and answer any questions you may have about your loved ones care plan. Each month we will reassess your care plan to make sure its the right fit for you. Your care plan is the strategies to help you reach your goals. We understand that things may change along the way, and for this reason we believe in adapting to your needs. Our software has a built in daily medication tracker to help your loved one keep track of their medications. This system allows our healthcare assistants to view your loved ones daily medication history, so we can provide the best care possible. With your consent we collect all of your medical records, lab results and financial documents all in one secure HIPAA compliant easy to access app. Having all of your medical records can help both you, your current physician any new doctor or urgent care provider you may visit understand your healthcare needs. Our "live Advocates" are their to guide you every step of the way. What does "live" mean? Live advocates meet in person with you and your providers to better asses your situation. In the midst of our fragmented healthcare system we aim to be the connecting link. With our advancements in technology, we realize it's rare to get assistance from a an actual person, that is why our "Advocates" are dedicated to helping you create the strategies and solutions you need to care for your loved one. Our "live Advocates" are vetted to meet your needs from our team of nurses, social workers, geriatric case managers and professional care givers. Many of our clients have "in home" caregivers who do an excellent job with assisting our clients with activities of daily living. We often spend a considerable amount of time teaching caregivers advanced caregiving techniques. Our weekly visits are designed to help with problem solving, accompanying our clients to their doctors appointments and communicating and documenting the care plan and the concerns the family may have. Often family members are busy with work, small children, are out of state or just really need help in knowing the questions to ask. Each family has a custom program designed for them. Feel free to ask about our annual program as well. You have access to our team of live experts (Physicians, Geriatric Care Managers, Nurses, Social Workers, Gerontologist, Dieticians, Physical Therapist) via HIPPA Secure Video Conferencing. When caring for a loved one we know there are often many family members involved and not all of them live close by. By utilizing live video conferencing this allows your family to stay connected no matter what state they may live in. We understand that finances should not get in the way of providing the best care for your loved one. For that reasons, we provide cost of care planning to help your family receive the proper guidance to make informed decisions. Be assured that our network of Financial Advisors and Attorney's have trusted reputations and are highly skilled in finding the solutions.